Since early June, Kim Daniels has led the Prineville-Crook County Chamber of Commerce, but the executive director position she held came with an interim tag. As of last week, that is no longer the case as Daniels was hired as the permanent director. "I am honored to continue my service to the community in an organization that I respect and value as one that gives back to not only its members, but to all of those who benefit from our body of work," she said. "I am thrilled to be a part of this amazing organization." Prior to taking on the director role at the Chamber, Daniels served as a board member and Chamber ambassador. She has been involved in the local business community since accepting an administrative assistant position with the Mosaic Medical clinic in Prineville in November 2015. Daniels was raised in Eugene and earned a Bachelor of Arts Degree from the University of Oregon School of Journalism and Communication in 1998. She moved to Prineville in 2002 and has two daughters. The director position became available this past June when Casey Kaiser stepped down from the role to take a job with the City of Prineville Planning Department. The Chamber board decided to appoint an interim executive director to support a smoother transition. "The board decided that as we approached the busy summer season it was important to get someone in place as quickly as possible," said Board President Becky Munn. "Kim Daniels, who was a board member at the time, expressed interest in filling the interim position. She was appointed to that position after an interview with the board outlining her qualifications for the position. Kim brings an extensive marketing and community relations background to the position." Daniels stepped into the interim role during a busy summer season that featured events and activities associated with the Crooked River Roundup, the Fourth of July and the Crook County Fair. "Along with making it through a very busy summer filled with some of our annual events, my staff and I just finalized the coordination of the Travel Oregon mural earlier this month," she said of her accomplishments thus far. "Getting the mural in town was a huge win, as it is part of a multi-million dollar nationwide tourism campaign that should draw new visitors to our area. We also are wrapping up work on several new projects. The Charm Trail will start up in November, and we plan to offer educational seminars to our businesses on social media, Chamber benefits, and anything else that our members feel is a need locally and can assist in their success." After evaluating her performance as interim, the Chamber board voted to appoint Daniels as the permanent executive director. "We are very pleased with her job performance to date and feel she will be a great asset to the community in this capacity long term," Munn said. "Kim is enthusiastic and passionate about Prineville and the Chamber and is working hard to find opportunities to connect to businesses and expand tourism. 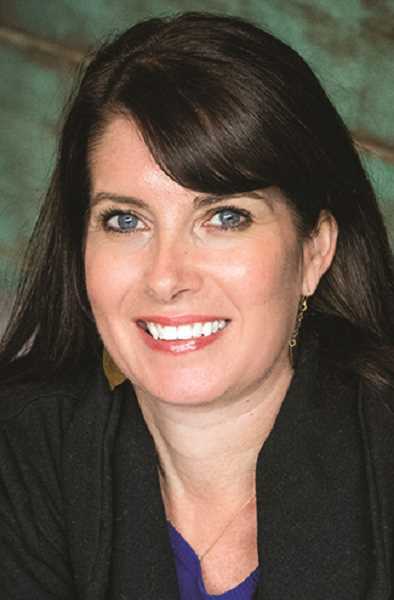 We look forward to the creative ideas and community relationships that Kim will continue to develop as the new Prineville-Crook County Chamber of Commerce Executive Director." Moving forward, Daniels is planning to lead the Chamber into the future while building upon the foundation the prior staff has put in place through the years. "My goal is to engage the business community and strengthen Prineville-Crook County as a whole," she said. "I have a keen focus on engagement, interaction and proactive programs and activities that showcase Crook County and our local businesses while also trying to put focus on giving back to our community."